Profoundly beautiful and utterly compelling, Vietnam has emerged from the shackles of its past to become South East Asia’s most attractive holiday destination. Crazy and serene, exciting and tranquil – Vietnam is among a select few destinations where your travel experience can be stretched to the limit. Travellers arriving in Vietnam can expect to find a melting pot of culture, history, landscapes and perhaps the most precious treasure, the people. Vietnam has often been called a country of contrasts and it is easy to see why. The booming metropolises of Ho Chi Min City and Hanoi are bursting with colour and activity, where soaring sky scrapers with roof top bars rub shoulders with thousand year old pagodas (Buddhist temples), French colonial buildings and world renowned street food stalls. Hanoi’s most popular tourist hotspot is the Old Quarter, where hundreds of years of trade can be charted and still continues to this day. The charming coastal cities of Hoi An & Hué offer a more serene experience with tranquil rivers and eye-catching architecture. A trip to Vietnam is also never complete without seeing Halong Bay, one of the natural wonders of the world, either by traditional junk sailboat or seaplane. On the other end of the spectrum lies Vietnam’s hushed countryside. In Sapa, emerald green rice terraces cover vast areas where Vietnamese hill tribes work and live. A visual and cultural delight, the scenery is truly beautiful and it is a fantastic spot for trekking. If you prefer boutique French colonial style hotels or one of many quality beach resorts that dots the coast, Vietnam will have you covered, and will leave you wondering why you never made the trip sooner! Vietnam has countless World Heritage Sites to visit and explore so your travel itinery is sure to be filled with activities and sights to see. Vietnam has many off-the-beaten-track experiences, world famous beaches, exquisite cuisines and even modern shopping malls to ensure you have the holiday of a lifetime no matter what you’re into. Not to mention Vietnam has been cited as one of the world’s most affordable destinations, it is easy to see why this country is surpassing its peers in the region. 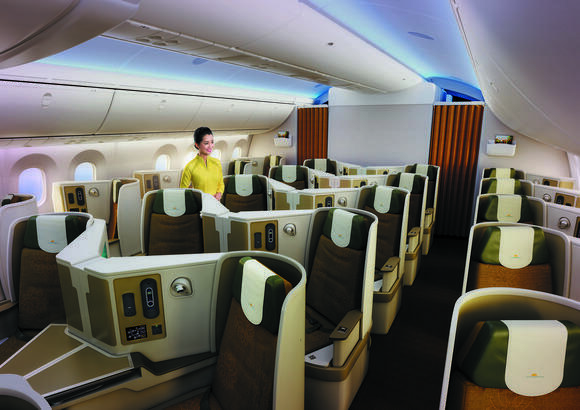 Superior service is guaranteed across all reservations when flying with Vietnam Airlines. 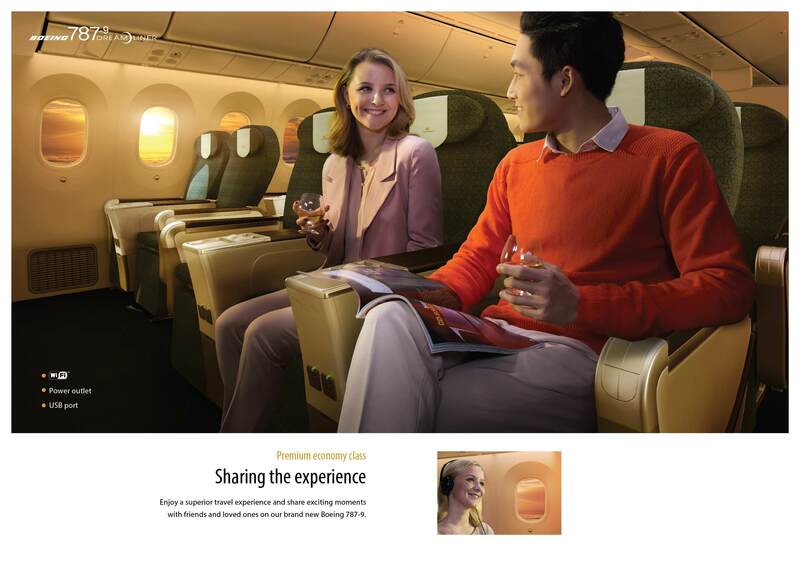 For passengers wanting to take advantage of our deluxe comfort seats, priority check-in, and additional amenities, Premium Economy is a great choice at an even better value. 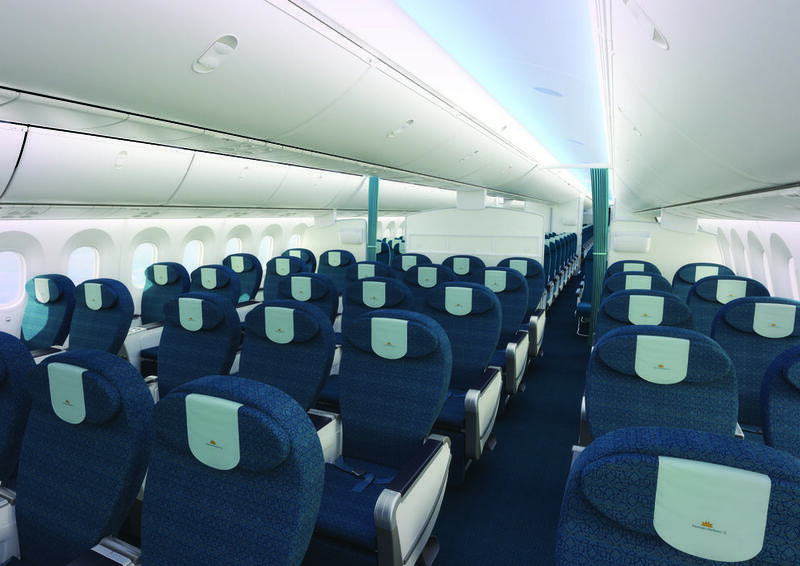 Flying business class with Vietnam Airlines offers you superior services, extra space to work or relax and delicious meals and drinks.